Miles for Myeloma is an annual walk/run event in Appleton, Wisconsin that unites patients and family members of those affected by myeloma. It raises awareness of myeloma and proceeds benefit Mission Myeloma, Inc. 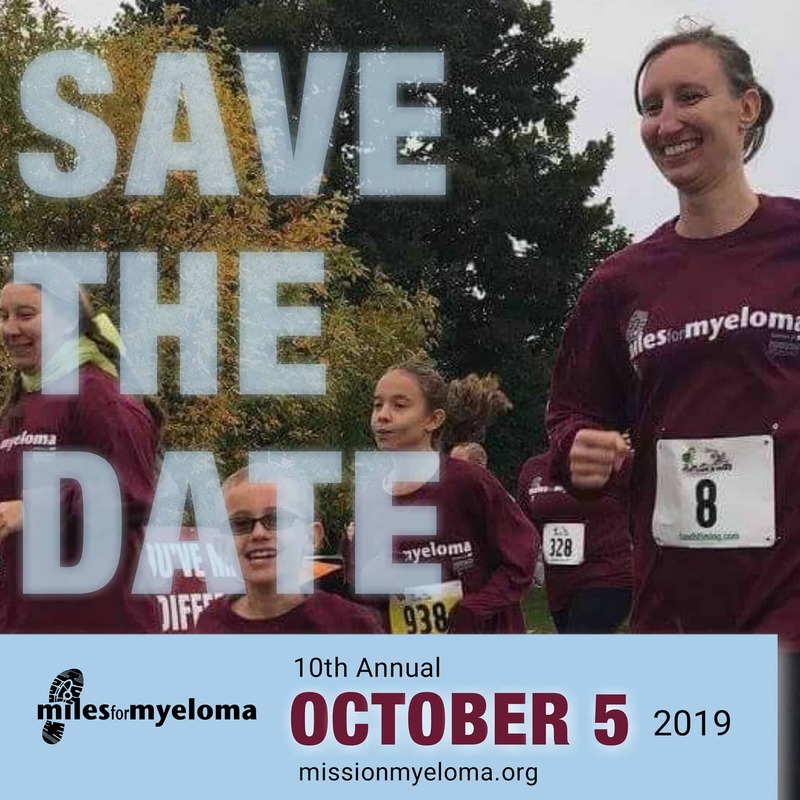 The 9th annual Miles for Myeloma-Fox Valley is on Saturday, October 5, 2019 and will, again, be held at Encircle Health in Appleton, Wisconsin. Registration begins in June and will include an early bird incentive. With net proceeds exceeding $25,000, the 9th annual Miles for Myeloma-Fox Valley walk/run was our most successful event to date. The event took place on Saturday, October 6, 2018 at Encircle Health Medical Center. Thank you to each volunteer, sponsor and participate for making this possible! The 8th annual Miles for Myeloma-Fox Valley walk/run was our most successful event to date. The event took place on Saturday, October 7, 2017 at Encircle Health Medical Center and attracted an event record of 407 participants and net proceeds exceeded $21,000. For the first year ever, all proceeds benefited Mission Myeloma, Inc. to propel the mission of supporting myeloma patients and their families and funding research for a cure. A portion of the proceeds were donated to Multiple Myeloma Research Foundation (MMRF). 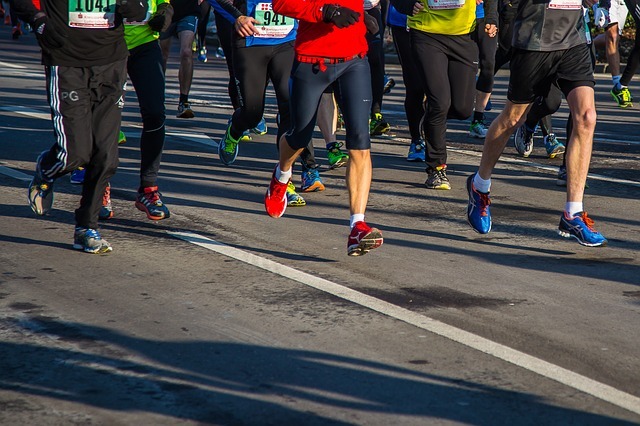 The 7th annual Miles for Myeloma-Fox Valley walk/run was a successful event—for both the community and the Multiple Myeloma Research Foundation (MMRF). The event, held on Saturday, October 1, 2016 at Encircle Health, attracted an event record of 279 participants and raised over $18,500 for the Multiple Myeloma Research Foundation. In addition, the energy level of the participants was off the charts. Swarms of individuals, ranging from 1-85 years old, gathered at the finish line to share support and encouragement for one another. Families, friends and co-workers united to create 10 teams in honor or memory of a loved one affected by myeloma, and a continuous slideshow featured stories, testimonials and pictures of Fox Valley myeloma patients. Additionally, Be the Match partnered with the event for the first ever, resulting in 26 individuals signing up to be part of the national bone marrow registry. The event concluded with 10+ prize drawings and one elated grand prize winner of two Wisconsin Badger football tickets, graciously donated by Wisconsin Institute of Urology, for the October 15th game in Madison, Wisconsin. Thank you to every participant, volunteer, and sponsor for helping us make an impact! The event was filled with real passion on serving the cause. Thank you for the opportunity to celebrate the life of my father with friends and family. I enjoy coming out each year. I could tell it meant a lot to the people who were there and had lost loved ones to myeloma. A place to get together with family and friends and remember good times. Good place for families.